When you have a baby who won’t stop crying, things can get, really real, really fast. My first baby was a fussy baby and cried alot. There were a few times that he would scream for what felt like an eternity. Spending15 minutes in baby screaming world feels like hours! 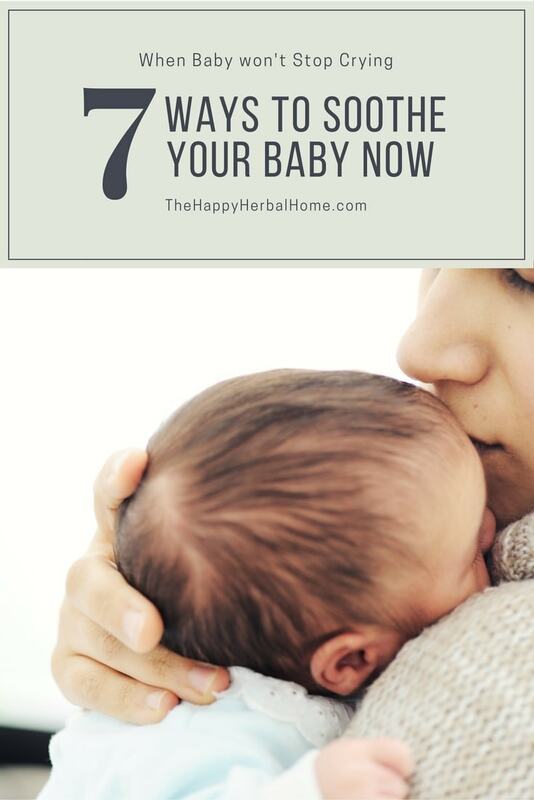 I learned lots of techniques to soothe a baby and you can usually go down the list quickly to find a way to help your baby stop crying. 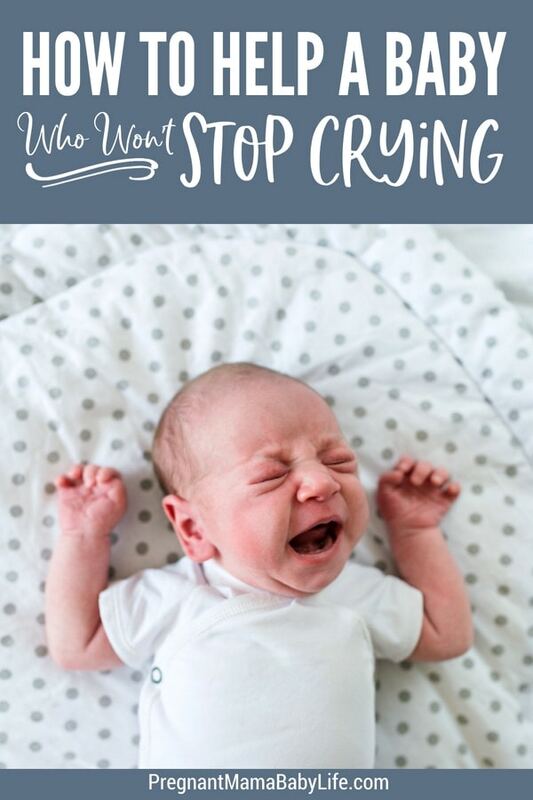 So here are our favorite cry stopping techniques! 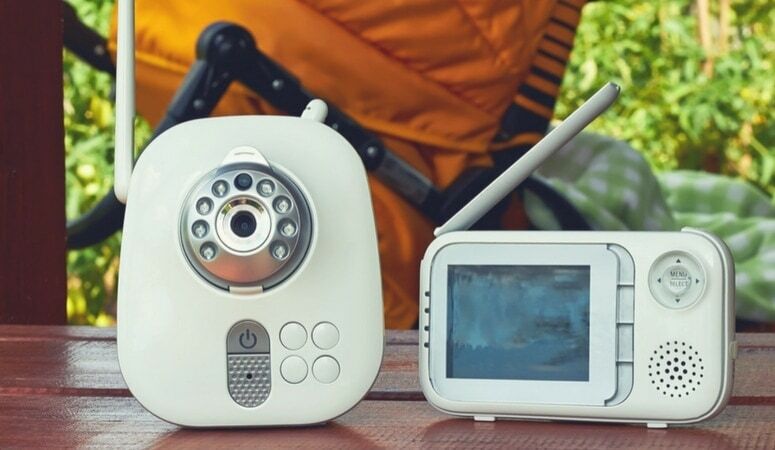 Basic Needs Met but Baby is Still Crying? Could it be other sources of pain? Checking your babies basic needs is always a great place to start. So check the basics first. Could they be hungry? Try feeding first. If your baby is on a “feeding schedule” try to feed anyway. 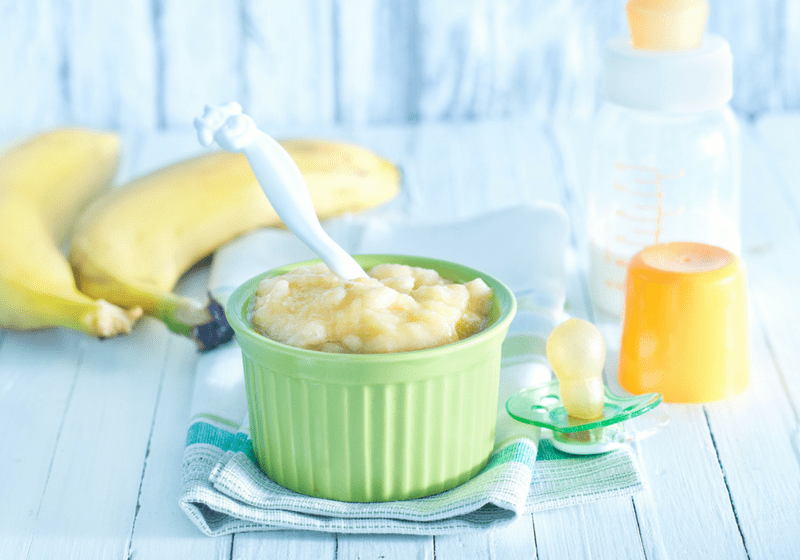 You get hungry even when it’s not meal time, so does your baby. Try feeding first. If you’re breastfeeding, your baby may just want your closeness and comfort. Instinctually when my baby cries I offer the breast first and 90% it does the trick. Seems silly, but check to make sure your baby’s not wet or poopy. This one slipped my mind so much with my second baby. My first one never cried over a wet diaper (So I had to check constantly) but my second hated to have a wet diaper. Changing him often fixed the problem. Another obvious, but sometimes forgotten need. 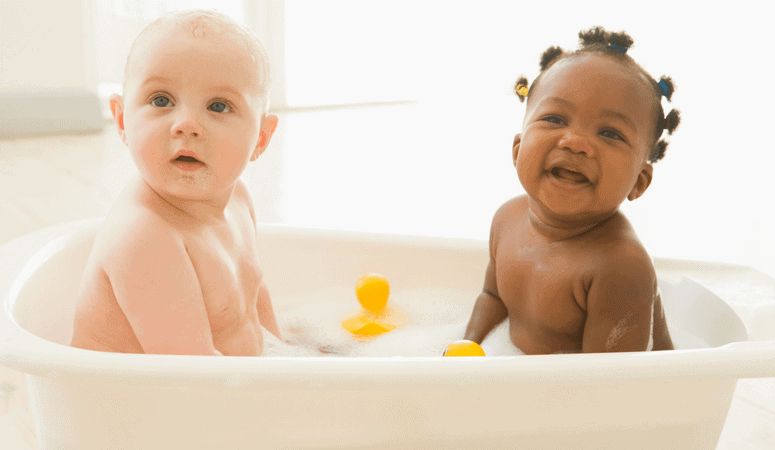 Does your baby have bubbles in their tummy? If so they could be crying from gas pains. 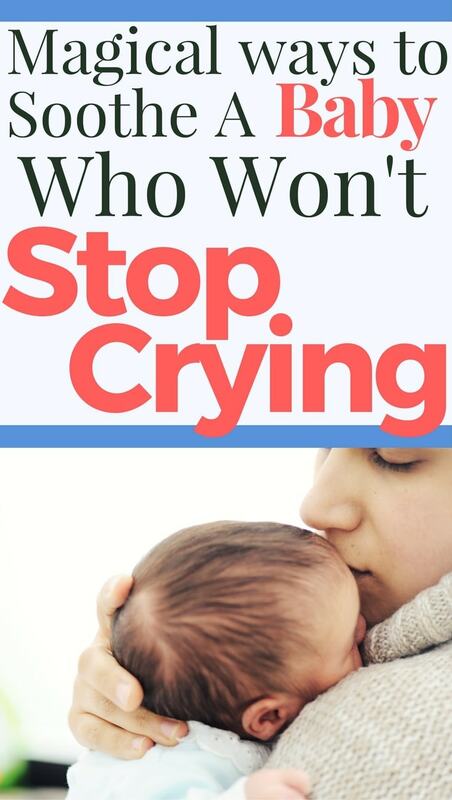 This one’s a little tricky because when babies are overtired, they have a hard time sleeping and work themselves up even more with crying. Now is the time to pull out your best comforting sleep techniques. Rocking, swaying, singing. For those who are worried you’ll “ruin” your baby, you can’t actually spoil a baby. They need love, attention and affection, just like you. It’s a human necessity in order to grow into an emotionally stable person. So don’t feel like you are damaging your baby, love away. If the basic needs aren’t the problem check over your baby’s whole body. Strip them down because you don’t want to miss something. It could be something you can’t see right away. I start with the head and look at each body part carefully. Look to make sure that there are no hairs or strings wrapped around any part of their body causing pain. Your baby’s body parts are super sensitive and fragile. It can cut off circulation to the area and cause severe injuries. So don’t forget to remove their socks. Check the ears for redness, as this could be a sign of ear problems. Does anything look swollen or off? Also, check for diaper rashes. Don’t be mistaken, diaper rashes can cause a lot of pain. 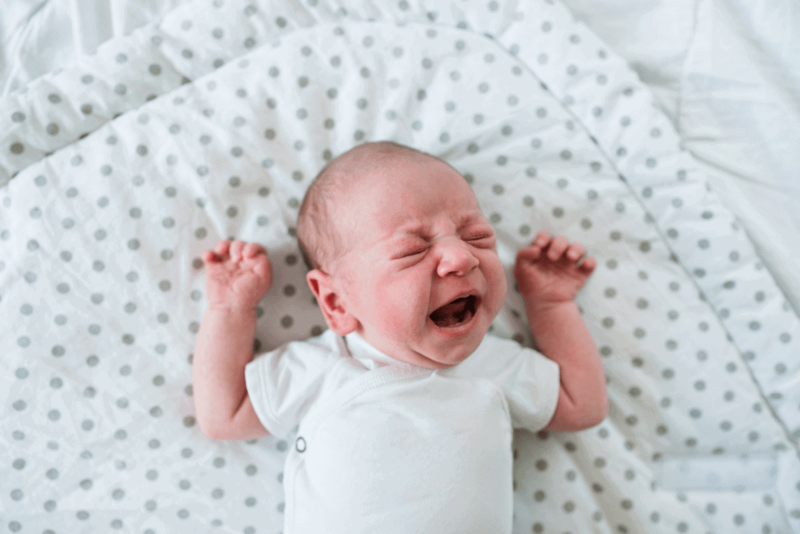 A diaper rash could be the reason your baby won’t stop crying. 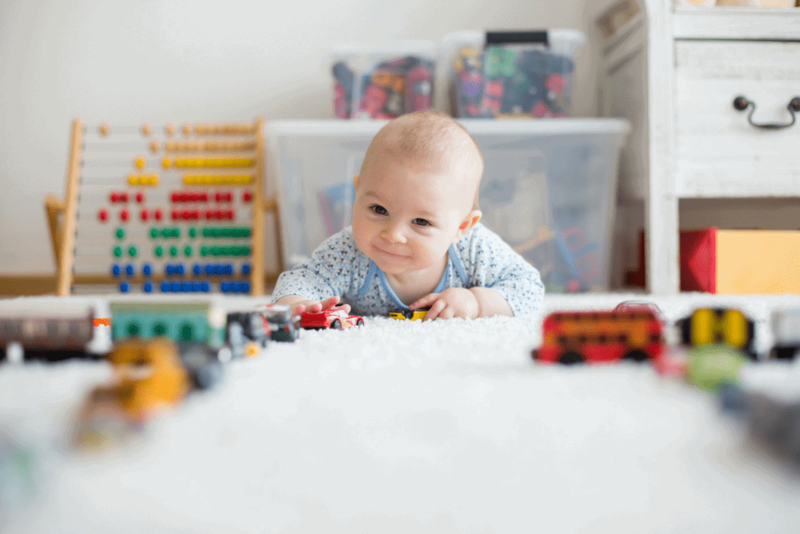 What about signs of teething? 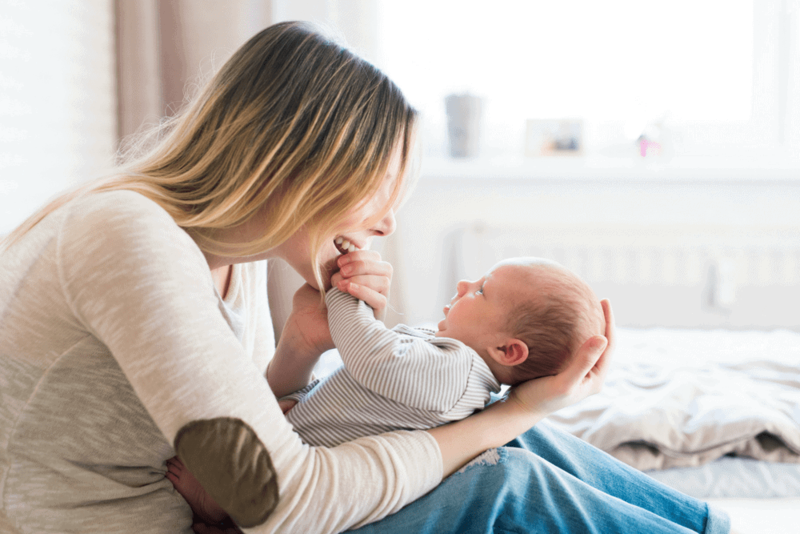 If your baby is over 4 months old, they could be teething. Look for signs of teething including red or swollen gums & tugging at their ears. So if none of the above is the problem, then you might not figure out what is. So your next best option is to try to offer your love and support and help them through it. You can try using some of these techniques. This is a mommy basic because it works. This is a good technique to use if you know it’s an emotional need. For me, I can’t really tell for sure the emotional needs until they are a bit older though. So for little babies, if this doesn’t work after five minutes I move to the next technique. My first baby would get so upset and I still don’t know why. If he started his screams I instantly got us both undressed and into a warm shower. It worked nearly every time. Even as a toddler, it soothes him. My littlest baby loves this too though. When he’s having a hard time and won’t stop fussing, a warm shower is soothing for both of us. But if you are worried you may lose your grip you can wrap him in a small dish towel or use a washcloth. You could even sit on the bottom of the tub and just cradle him allowing the warm water to run down both of you. Showers like these are some of my favorite memories with my baby. Babies calm down when they are being carried and walked with. This article explains why. It talk’s about how babies naturally and instinctually calm down when being carried as a way to protect themselves from harm. I borrowed this DVD called Happiest Baby on the Block from my birth center when I was pregnant and it was very helpful! You may even be able to find it at your local library. I used quite a few of these techniques and they are pretty sound for soothing a baby. The doctor who created this DVD (it’s in book form too) uses 5 basic techniques to help soothe a fussy baby and explains why they work. There were quite a few nights I found myself applying these techniques. 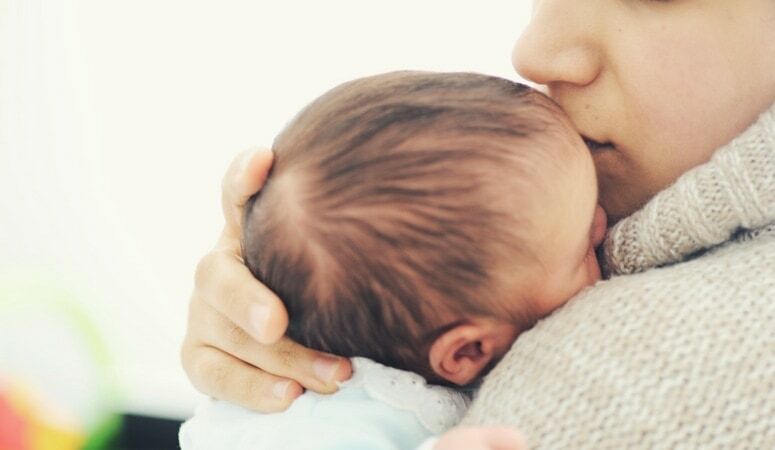 If you can’t soothe your baby, maybe your partner or someone else close to you can. Sometimes baby just needs a change to break the cycle. A new face, a noisy rattle, an interesting song. My baby looooves this little video, and it’s constantly going on my phone in the car. It calms him almost instantly. Sometimes a little fresh air can make a big difference. A trip to the backyard can be calming and interesting enough to distract your baby long enough to stop the cycle of distress. Walk around slowly while pointing out interesting things to look at. Babies are sensitive and able to feel the emotions of those around them. If parents are chronically stressed it could be stressing baby as well. It’s important you are finding ways to keep calm and feel less stress yourself so that your baby isn’t overrun by your emotions. If you’re having trouble keeping healthy mentally, it may be time to reach out to someone around you that you trust or a medical professional such as your OB-gyn or midwife. In the past when I’m feeling especially stressed, I have seen it echoed in my babies emotions. 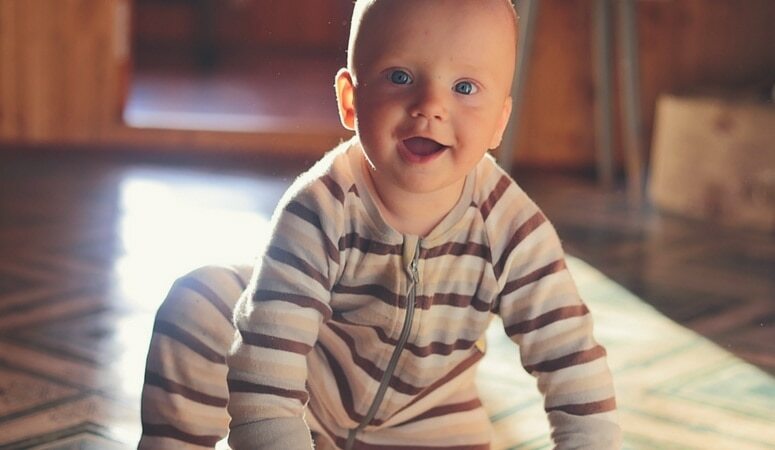 It’s a good indicator that something needs to change, even just for your babies well being. 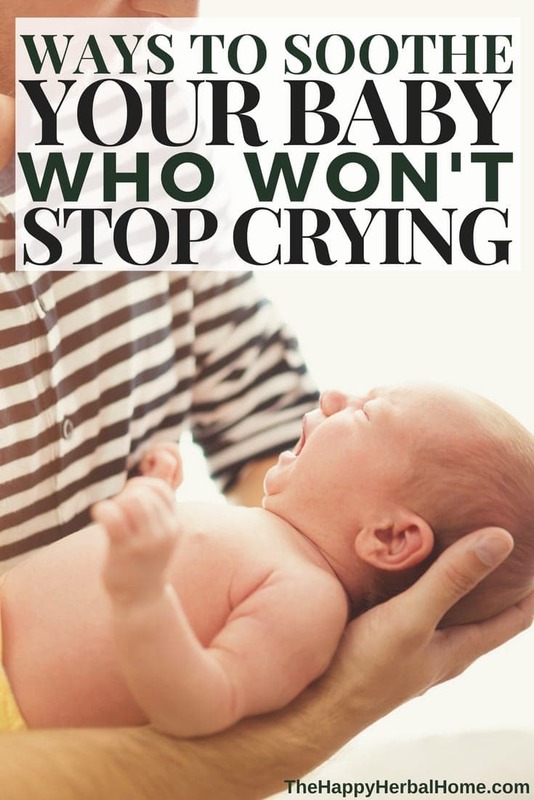 If your baby has been crying for hours non-stop it may be time to consider taking them to the doctor. If something inside you is telling you something is wrong with your baby, don’t hesitate to seek a medical professionals opinion. It is perfectly normal for babies to cry, sometimes. Hours of non-stop crying isn’t normal and could signal something very wrong. Use your best mommy judgment, and if your instincts tell you to get help, get help. Remember Mama, this is all temporary. 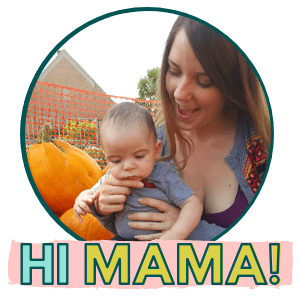 Being a new mama with a fussy little one is hard and exhausting. It’s ok to cry too. I promise, eventually, baby will be back to their happy self. Get the cheapest diapers with Amazon Family. 20% Off of Diapers & Baby Food. My baby used to cry non stop. He was diagnosed with reflux and colic. Babies magic tea worked wonder that soothed him overnight. It also helps with his poop. It’s the worst feeling when you know your baby is crying from pain. I’m going to look into that tea too, maybe it will do the trick to soothe my baby. Great tips! Neither of mine were colicky, thankfully! A few of my friends had to go through it, though. Im glad to hear that about your babies. I had one that was and one that wasn’t. As exhausting and trying as it can be, the baby period doesn’t last long, and its on to the next stage. So bittersweet.